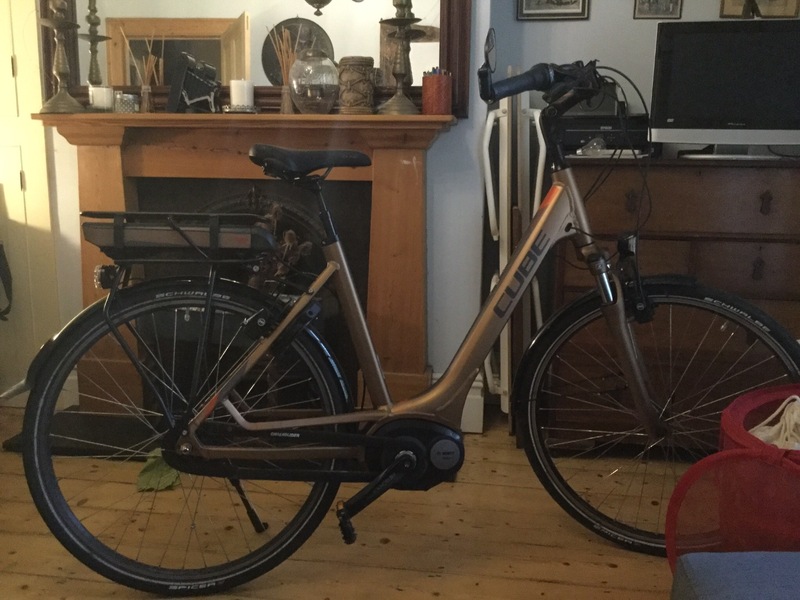 large Dutch step through electric bike. Light brown colour. Bosch motor. It has Datatag markings including a sticker, and UV paint. The Datatag number is C4HB354006. The crime number is 5219052708. It was stolen in Bristol on 10/03/19.